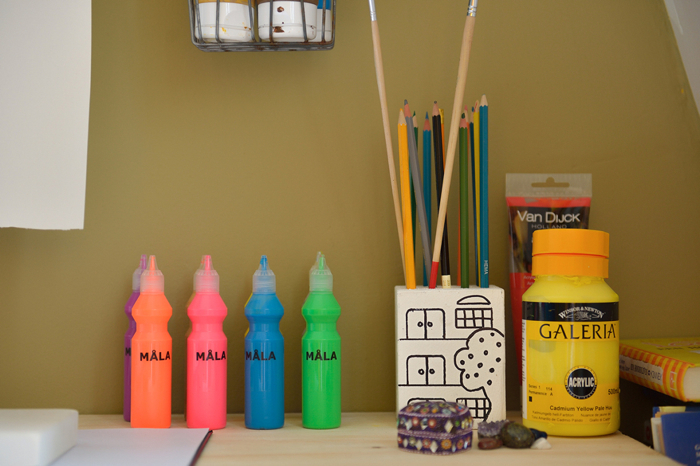 Should we start the new year with some colourful, positive blog post and a splash of yellow ? owner of Studio Soet and Soetwaren, stylist Myrthe Smit . 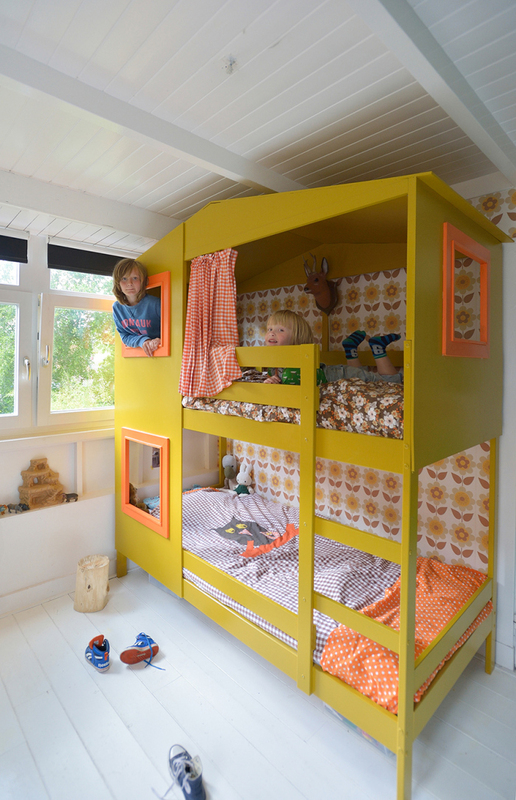 The yellow bed is a transformation of standard IKEA bunk bed. Like you can see, nobody is afraid of colours in this room! 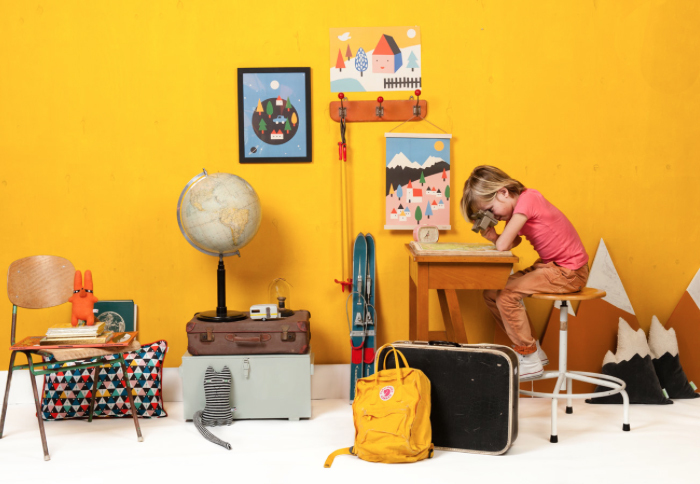 We can see a yellow bunk bed, orange chairs and colourful walls. It always suprise me, that in Dutch children’s rooms you can see pattern wallpaper which is combine with many other textiles and it all magically fits together. Can you spot this retro flower pattern on the wallpaper and then bedlinen on the bed with grid, dots and other flowers? If I would use a rich pattern wallpaper on the wall I would probably ‘calm it down’ by use of basic colours. 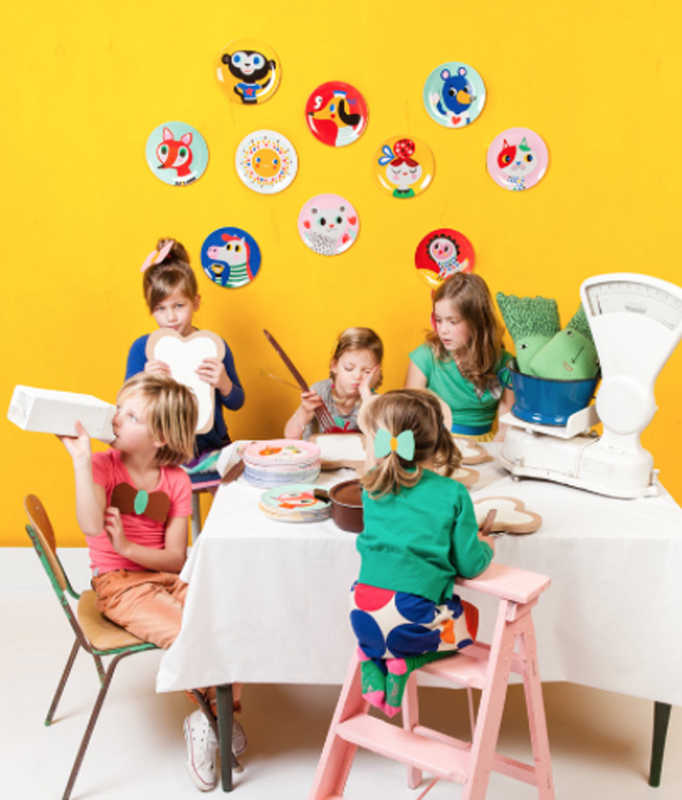 Stylist Myrthe Smit is not afraid of playing with many different shapes and colours. In her work for Studio Soet we can easily recognise the same personal style. 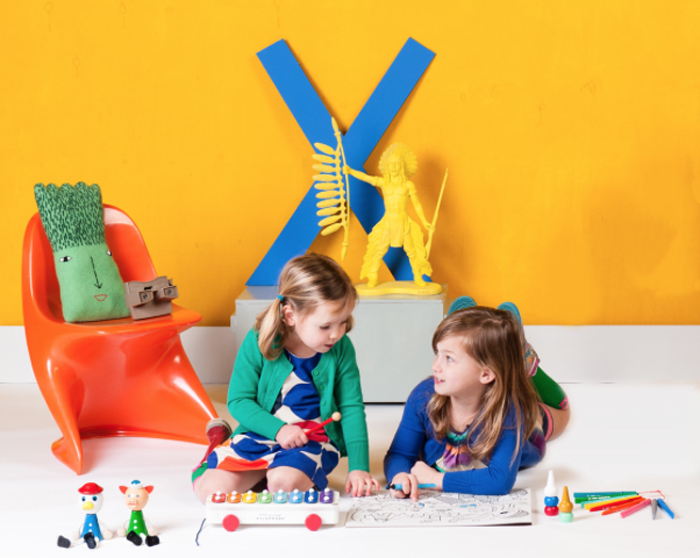 Images made by Studio Soet for psikhouvanjou store . 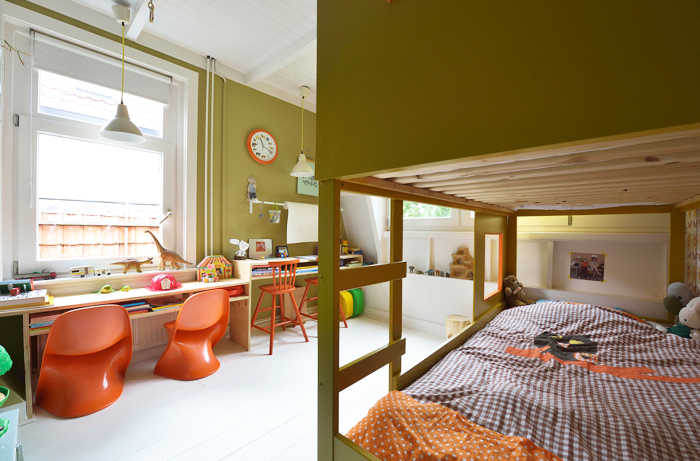 bunk bed from France - AM.PM.